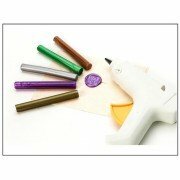 Each Kit includes: Classic Handle Stamp with your choice of letter Flexible & m..
Our standard size (0.44" diameter) Low temp Glue Gun works not only with our Glue Gun Sealing Wax.. 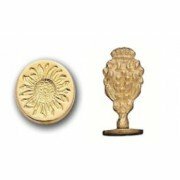 This Brass Seal is imported from Florence and made by Italian craftsmen. 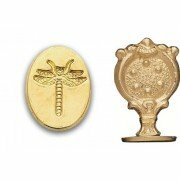 Handle is &nbs.. 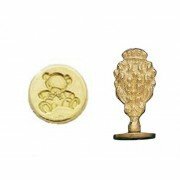 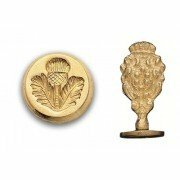 This Brass Seals is imported from Florence and made by Italian craftsmen. Handle is &nb.. This Brass Seal is imported from Florence and is made by Italian craftsmen. 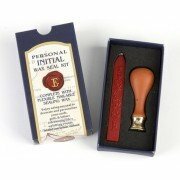 Handle is 1 1/2.. This Brass Seal is imported from Florence and is made by Italian craftsmen. 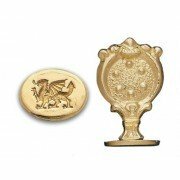 Handle is &..
A lovely Initial style with scroll detail on a Ceramic Wax Seal Stamp paired with Red Flexible Se.. 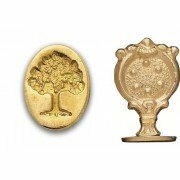 This Brass Seals is imported from Florence and made by Italian craftsmen. Handle is 1 1..
Our Brass Seals are imported from Florence and made by Italian craftsmen. 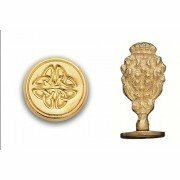 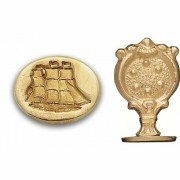 Handle is 1 1/2" Tall w..
About This Product This Brass Seal is imported from Florence and is made by Italian craftsmen..
About This Product This Brass Seal is imported from Florence and is made by Italian cra..